Out of stock since Tuesday, 23 April 2019. Due back Tuesday, 30 April 2019. Out of stock since Tuesday, 4 September 2018. Due back Friday, 26 April 2019. 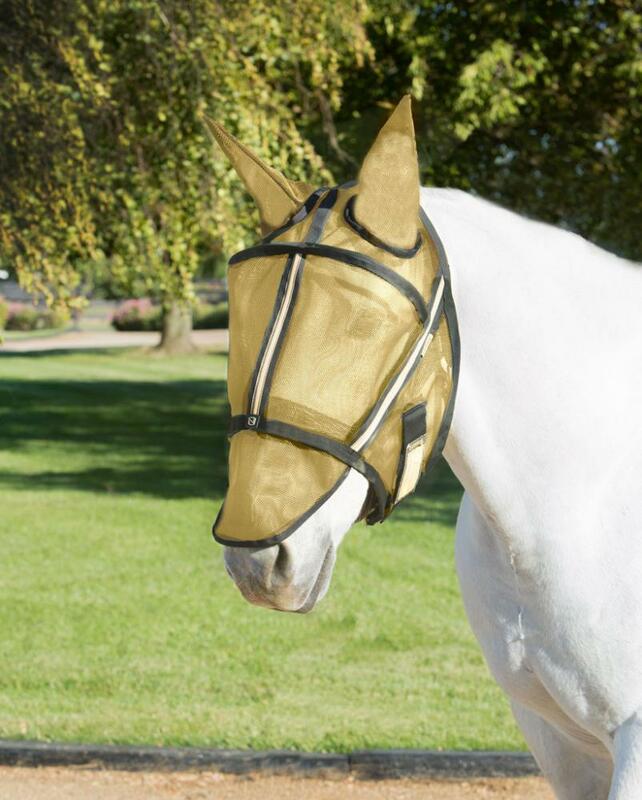 Noble Outfitters expands its range into horsewear with the launch of its revolutionary new Guardsman Fly Mask. 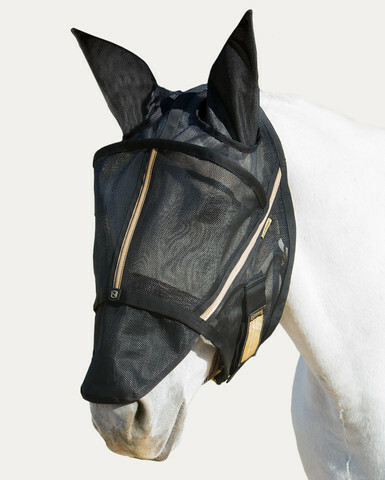 Made from heavy duty UV coated mesh to fight wear and tear and featuring a contoured nose to prevent insect pentration, the Guardsman's removable nose attachment is also UPF 25+ protected. 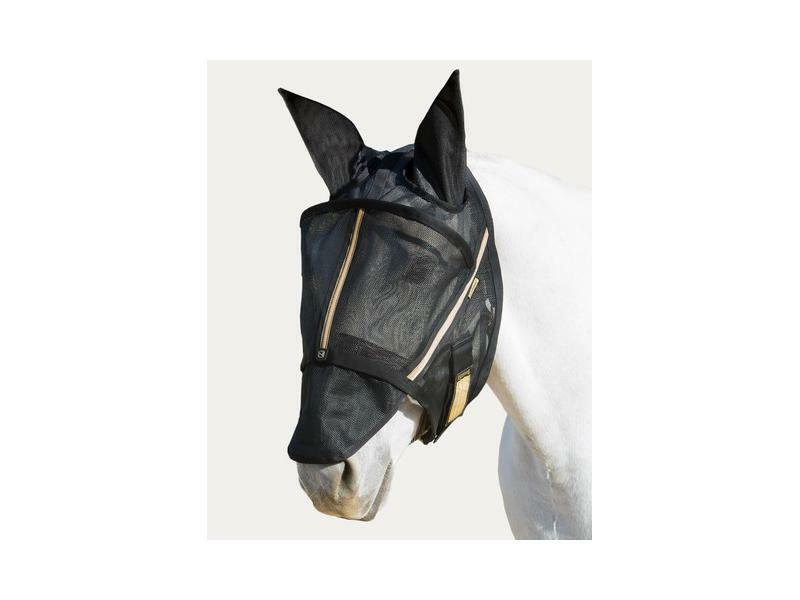 Practicality is matched with luxury as the fly mask also benefits from a fleece lining on the crown and nose to ensure maximum comfort for your horse. 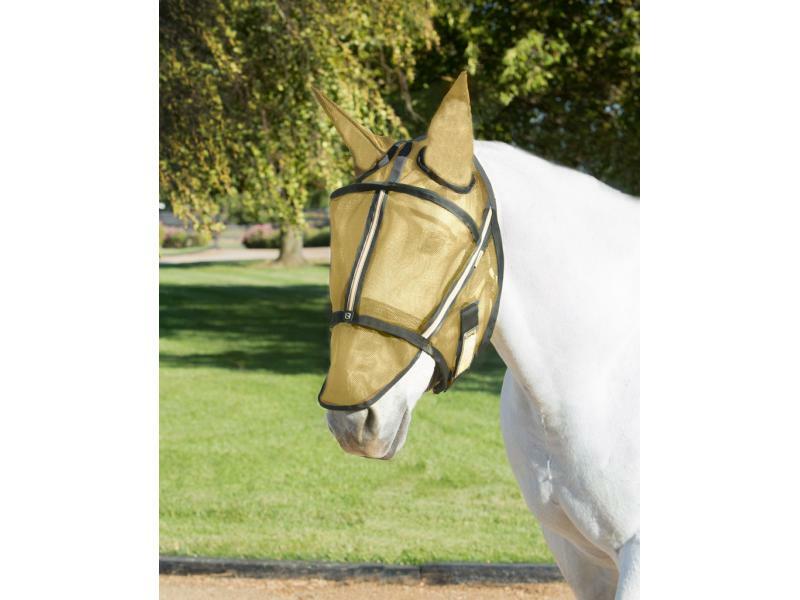 There are currently no questions for Noble Outfitters Guardsman Fly Mask With Ears - be the first to ask one!